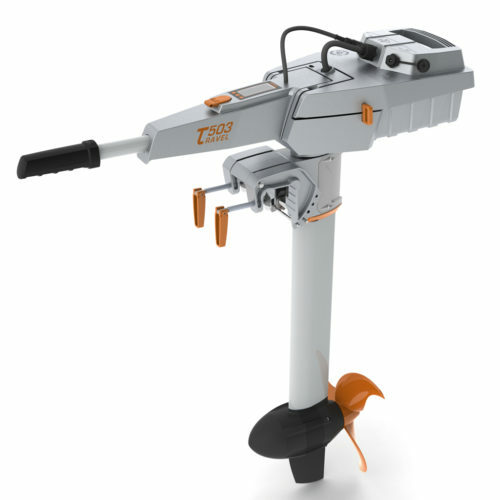 Shoreline Sailboats is pleased to be an authorized dealer of Torqeedo electric outboards. As lifelong sailors we are committed to offering the greenest alternative for auxiliary power. We chose Torqeedo because they are by far the leader in fast growing electric outboard industry. As the pioneer in the area of high-tech electromobility on water, they’ve set new standards with their motors since 2005. 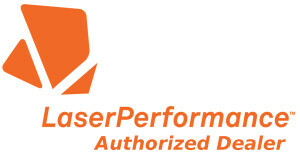 Please contact us below if you would like to learn more about Torqeedo’s complete line of outstanding electric motors. Travel 503 & 1003 – boats up to 3,000 lbs. These two engines from the Torqeedo line are ideal for many boats plying the waters of Lake Ontario and the Finger Lakes. 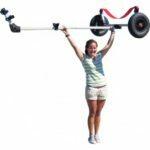 Both simply and cleanly break down into three pieces, transport, store – and all it takes is a couple of steps to mount it again. The engine applies power so gently that even casting off and mooring are fun. Talk at normal levels even at top speed: it’s all possible with the Travel 503 and 1003. 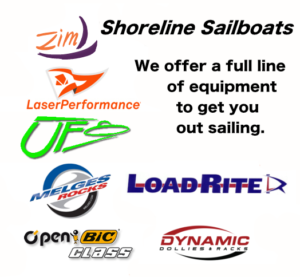 The 503 (long or short shaft) is recommended for boats up to 1,654 lbs. 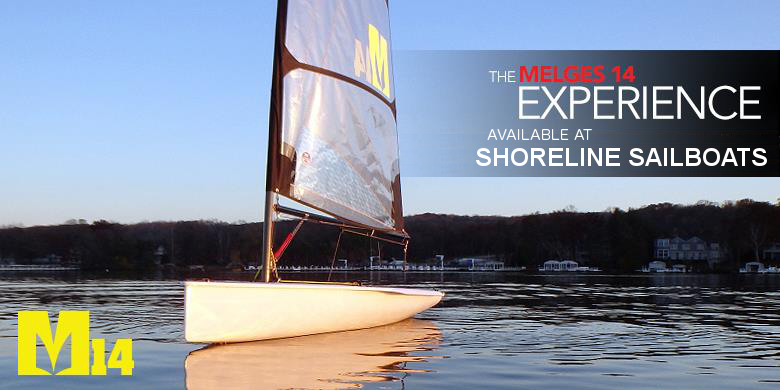 The 1003 (short or long shaft) is recommended for boats up to 3,000 lbs. These all-arounders offer the same performance and range as a small gas outboard, but they are more convenient, quieter, lighter and more environmentally friendly. 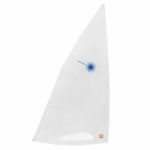 Each easily propels tenders, dinghies and daysailers up to 1.5 tons for hours on end -if you want. Thanks to the integrated GPS receiver, the tiller display provides continuous information about range, speed over the ground and battery capacity. An audible signal tells you when there’s 30%, 20% and 10% charge remaining. 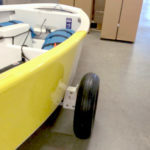 Charging via an onboard 12V system is one way to replenish your battery, or there’s the 45W solar charger that can top off the battery during a passage. Additionally, you can just swap batteries or hook up the integrated lithium battery to a plugged-in charger. Lastly, the fast charger (new in 2014) can charge your battery in half the time of conventional charging. Battery charging: From fully discharged, charging with the charger provided takes approximately 9 hours. Lithium battery life expectancy: The life of a lithium battery is barely affected by charging cycles. It has no memory effect. Therefore, the battery can be fully recharged after every trip, regardless of the charge status shown on the display. Generally, a loss of capacity of 4% per year can be expected. Ageing is accelerated if the battery is exposed to high temperatures for long periods while fully charged. The battery can be used in very hot conditions, but we would recommend that it should be stored in a cool place away from the sun when not in use. 8 years after date of production, your battery needs to be inspected by a service center. Integrated battery specifications: The Travel 503 battery has a capacity of 320 Wh. this gives the Travel 503 a rating of 11 Ah at 29.6 V.
Solar charging: The batteries of the Travel 503 can be charged by a solar charger, even when the motor is in use on the water. The battery is compatible with solar chargers with voltages between 24 and 60 V and a maximum charging current of up to 4 A. The simplest solution is to charge via our SUN 45 W – Solar panel. Charging from the on-board power supply: To charge the battery from an on-board power supply, an inverter is required to convert the voltage to between 100 and 240 V (standard power outlet voltages that can vary from country to country). High-efficiency inverters are available commercially at low cost. Safety: The motor only runs when the magnet key is placed in position on the throttle and stops immediately when the key is removed. For safety reasons, the magnet key should be attached to the wrist or the life vest. Temperature protection: In warmer climates, you may experience a reduction in power after 15-30 minutes running at full throttle. This is not a defect, but the integrated temperature protection mode that ensures that the battery does not reach extreme temperatures. Temperature protection mode is indicated by a thermometer in the display. How will I know how much juice I have? A LCD panel on the motor’s tiller tells you: Battery status in percentage, remaining range, speed over ground and your input power (for if you have the solar panel hooked up). ~You can charge it with a solar panel right on the boat. Battery Life expectancy and maintenance? If you do not expose it to extreme heat you should expect to get 6-10 years out of a battery. It is a Lithium battery that does not need to be “maintained” as other batteries do. You do not need to keep a minimum charge. What if I drop it in? Curse, but then go after it. The Torqeedo is water tight and able to be fully immersed. I would tie it on to the boat though…. it doesn’t float. Motor maintenance? Not much. Keep it out of extreme heat (well mostly just the battery). Clean it and wax it in the off season. It is not recommended to be left in the water, if it is you should expect growth as with anything left in the water. * Torqeedo static thrust measurement is based on globally valid ISO standards. Static thrust figures for conventional trolling motors are measured digressively, which results in higher values. In order to compare Torqeedo static thrust data with conventional trolling motors, add approximately 50% to the Torqeedo static thrust values. Battery charging: From fully discharged, charging with the charger provided takes approximately 15 hours. Integrated battery specifications: The Travel 1003 provides 520 Wh. For the Travel 1003 this gives a rating of 18 Ah at 29.6 V.
Solar charging: The batteries of the Travel 1003 models can be charged by a solar charger, even when the motor is in use on the water. The battery is compatible with solar chargers with voltages between 24 and 60 V and a maximum charging current of up to 4 A. The simplest solution is to charge via our SUN 45 W – Solar panel. Torqeedo motors don’t emit any exhaust gases into the water. The water isn’t polluted when refueling. No oil or unburned fuel is released into the water during operation. It goes without saying that Torqeedo motors don’t emit any greenhouse gases while they’re in use. Thanks to their lightweight construction, Torqeedo motors have a low carbon footprint in production. In operation, it’s the superior efficiency that ensures Torqeedo motors protect the environment and climate better than other motors. A Torqeedo Travel can motor more than 10 nautical miles with a battery consumption equivalent to 8 teaspoons of gas. That is not just a range advantage. Torqeedo products don’t produce unpleasant smells during use, transport or storage. There’s no threat of pollution from leaking oil or gas. That’s practical when you want to transport them in the boot or on the back seat, stow them on board, or when you just want to keep your hands and clothes clean. Torqeedo motors aren’t completely silent but they are appreciably quieter than comparable gas engines.